The head unit might be one of the most important things in your car that can actually affect the way you drive. Sure, speakers are great for music, but a head unit is often so much more than just for the sound. Or at least if you have a double din aftermarket head unit. These head units allow you to do all the things that your phone can do. Search the. Web for restaurants, use Google Maps for directions, answer calls or text messages with your phone, connect a rear-view camera and see how close you are to the guy behind. And this is before we have even started talking about the music cababilities that exist in these things. 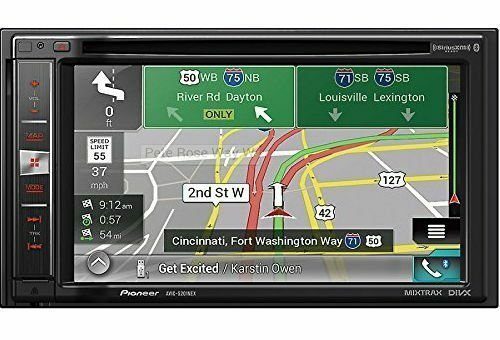 This is the Best Double Din Head Units Buying Guide and in here, you will find the perfect head unit for you, whether you are looking for one with navigation or Apple CarPlay. The head unit is the crown jewel in your car sound system. Without a powerful head unit, your speakers won’t live up to their full potential. 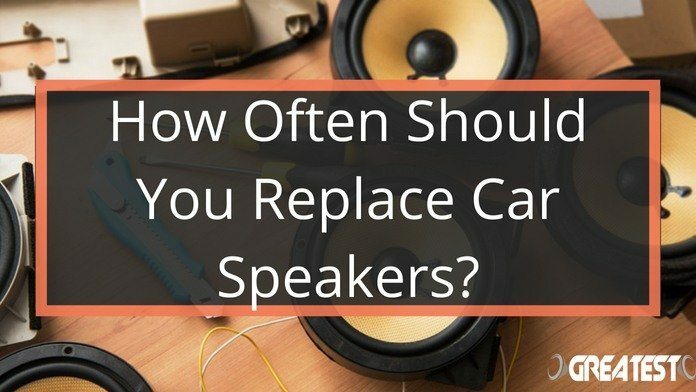 Because, in the end, your speakers will only sound as good as you let them do, either with a head unit or with an amplifier. 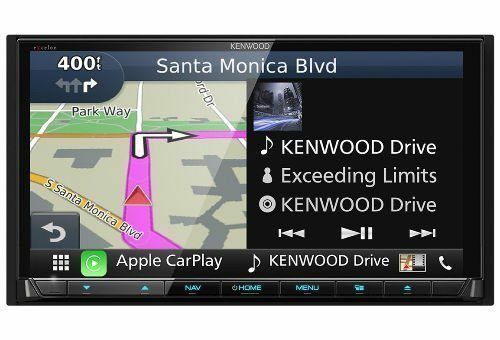 A new head unit is also a great way to get your old car up to speed with the technology that we have now. 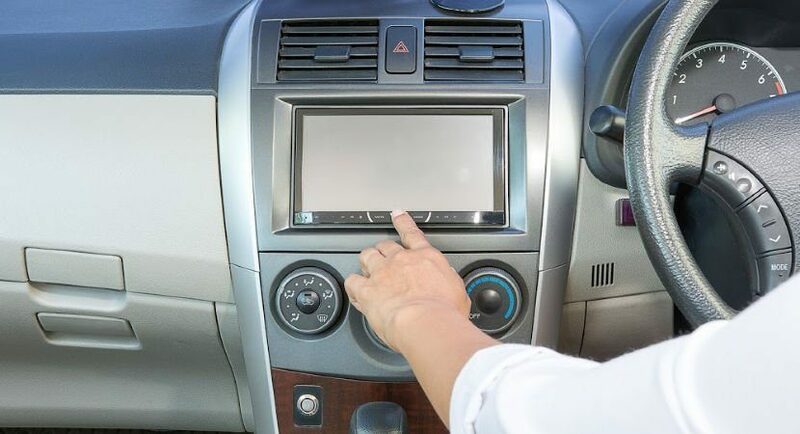 I’m sure you have a smartphone, and if you get the right head unit, you can connect your smartphone to the head unit and get all the features that you need. The head unit uses the smartphones features and you will get it on a bigger screen. 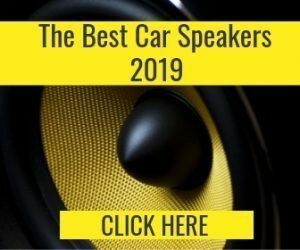 In this guide, you will find head units from brands like Pioneer, JVC and Kenwood but also smaller brands with great features and a full Android experience like the ATOTO or Joying. This is something we’ve seen the last few years, no-name brands coming up, creating great head units. This is great for consumers, as the prices goes down with more competitors on the market. Most double din head units come with touchscreens these days. The quality can very a lot between units however. Some have responsive, good-looking screens whereas others can be really horrible to use. Trying to navigate in the menus while driving (which you shouldn’t do) is really frustrating when everything is unresponsive. These head units are great for someone looking for the basics. These head units don’t feature anything unnecessary, you have what you need for the radio, connecting the phone via Bluetooth and good pricing. And of course, good touchscreens. 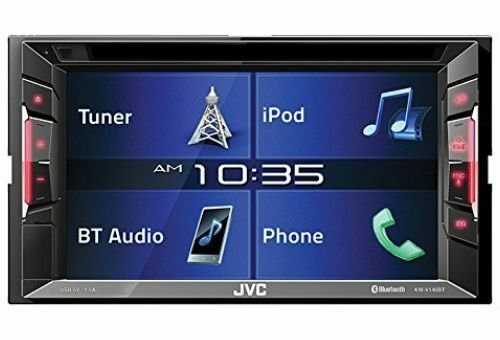 The JVC KW-V140BT is a solid double din head unit from a trusted brand. The 6.2” VGA screen is bright enough for sunny days, and not too bright at night. The price is also extremely budget-friendly. This head unit is primarily for audio and doesn’t have that much in terms of native features. That said, it pairs with your Apple or Android phone via USB or Bluetooth, and you can connect two phones at the same time. My girlfriend and I tested this out, and the feature works pretty seamlessly. This head unit integrates well with most car hardware. It comes ready to integrate with steering wheel audio controls. It supports four speakers at 22W RMS each on two outputs, front and rear, as well as a subwoofer. It also has a companion smartphone app to use your phone as a controller. One thing it doesn’t have is rearview camera compatibility, which can be a drawback if you have a trailer or park in the city. The other missing feature is support for satellite radio, which was disappointing considering how many other audio options there are. There’s also no GPS support on this unit. That said, music fans will love the JVC KW-V140BT. It supports a truly absurd number of music formats, including MP3, WMA, WAV, AAC, and FLAC. You can plug in your USB source, and enjoy your music no matter what the format. It also supports Pandora and Spotify, as well as CD and DVD playback. The Pioneer AVH-X4800BS is a 7” double din head unit with a gorgeous VGA display. The price is middle of the road, and it has a lot of connectivity options to justify this. You can connect to your Android or Apple phone with USB or Bluetooth, and stream audio from these devices. This unit has a couple of optional add-ons. One is an adapter that allows you to stream video from Apple devices. Another is a hideaway GPS dongle that adds a GPS feature to your head unit. I didn’t test either of these add-ons, but I’d be surprised if they were any lower quality than the rest of this unit. 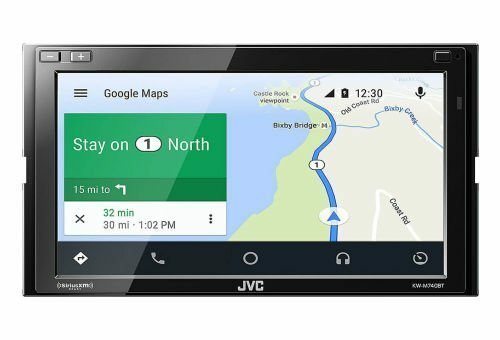 Like the JVC, the Pioneer AVH-X4800BS will connect to two phones at once. You can use your iPhone or iPad as a controller, as well as use Siri for voice commands. 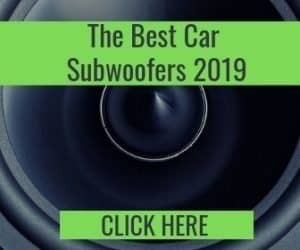 It also provides 14W RMS to four speakers plus a subwoofer and connects easily to most steering wheel controls. This head unit doesn’t have rearview camera compatibility, but it does support SiriusXM tuners Sxv300 and older. This makes it new enough to work with their Tune Mix, Traffic & Weather Now, and Sports Flash features. The Pioneer AVH-X4800BS supports virtually all music formats, including MP3, WMA, WAV, AAC and FLAC. The motorized display rotates up to reveal a CD/DVD tray and a memory card slot. If that’s not enough, this unit also supports Pandora and Spotify, as well as AppRadio. The Kenwood DDX25BT is a discount head unit that’s got some pretty impressive features for the price. It has a 6.2” VGA display with an LED backlight you can turn on or off depending on conditions. Any phone will connect to this unit with USB or Bluetooth. This head unit lets you connect two phones at once, and switch between them seamlessly as needed. You can also use your Apple phone to stream audio via the Pandora, Spotify and iHeartRadio apps. There’s a companion app for streaming audio from Android devices, and the DDX25BT does support Android Rapid Charge technology. This unit comes ready to connect with most backup cameras and displays a parking lanes guide over the image to help you out. It was very easy to install in my friend’s 2013 Nissan Xterra, although it was a pain installing the backup camera on that particular vehicle. There’s no GPS feature, and no support for Apple CarPlay or Android Auto, so you’ll need to use another device for navigation. It pushes 22W RMS to 4 speakers plus a subwoofer. The integrated Drive EQ technology monitors road noise as you drive, and adjusts output as needed to compensate. The Kenwood DDX25BT also supports plenty of music formats. You can connect any device via USB to play your MP3, WMA, WAV, AAC or FLAC files. It also supports CD/DVD playback through the integrated DVD drive, as well as terrestrial radio. This unit supports most SiriusXM receivers. Satellite navigation has become crucial in modern driving. A good navigation system can get you from point A to point B without hiccups. There are many different systems today, but they are not like they were before, when you had to pay to get updates to the maps. Today, you simply download it from the internet instead. Down below, I list the top 3 best double din head units with navigation in them. Of course, navigation is built into many others but these three are great specifically for this. If you are driving a lot to places you don’t know, one of these might be a good fit for you. The Jensen VX7528 was some engineer’s answer to the question “What if someone made a double din head unit that just worked?” The price is middle of the road, and the 6.2” VGA screen is just large enough to get the job done. The display also dims automatically when you turn on your headlights, which is a nice touch. You can connect any phone via Bluetooth, but only one at a time. Sorry, couples. Looks like the driver’s the only one who gets to use speakerphone. This head unit supports media streaming and remote control for Apple devices via USB. There’s no similar functionality available for Androids. One nice feature is the built-in GPS. I tested the points of interest feature to see how up to date they were, and it took me to a Taco Bell that’s only been open for a year. There’s no backup camera support on this head unit, though, which can be a pain if you live in a city or do a lot of towing. This head unit will provide 16W RMS to 4 speakers and a subwoofer. It has an 8-band equalizer with separate subwoofer controls, so you can make your car vibrate as much as you like without blowing out your tweeter. The Jensen VX7528 has an AM/FM tuner, and offers CD and DVD playback through the built-in drive. It doesn’t support USB or memory card audio, and also doesn’t support SiriusXM receivers. This is the second Pioneer head unit on our list, and it’s a bit beefier than the previous version. It also has a lot of features to justify the premium price. To start with, the 6.2” touchscreen display is responsive and looks good. It’s easy to navigate the menus while driving to access the features that this head unit provides. This unit supports backup cameras. Cameras connect via an RCA connection, so most factory camera connections will require an adapter. It also has an integrated GPS, which is a huge upgrade from the AVH-X4800BS. If you want to use your own GPS app like Waze, no problem. The AVIC-5201NEX supports Apple CarPlay, so you can use whatever app you like on your Apple device. You can connect up to 2 phones to this head unit via Bluetooth or USB. Apple users get an added bonus, thanks to the AVIC-5201NEX’s Apple CarPlay and Siri support. 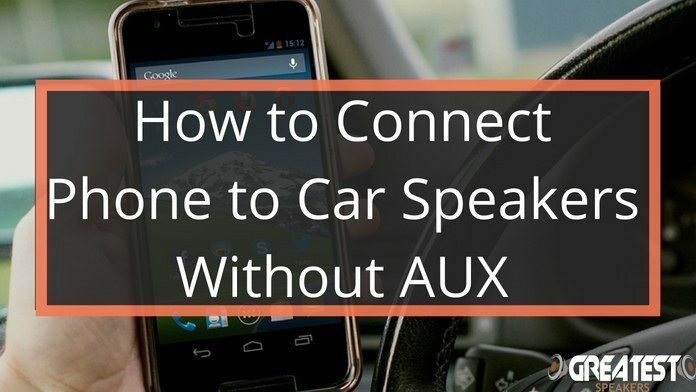 Stream your media or use your apps seamlessly on your car’s dashboard or use Siri to do everything with voice commands. This head unit will push up to 22W RMS to four speakers, as well as a subwoofer. It installs easily in most vehicles and is compatible with most steering wheel controls. Maybe it’s just my car’s wiring harness, but I had an easier time installing this unit than some others. The Pioneer AVIC-5201NEX has a built in AM/FM tuner, and has a CD/DVD drive. It doesn’t support USB or memory card audio but is compatible with most SiriusXM receivers. The Kenwood Excelon DNX994S is another premium double din head unit that comes at a premium price. The 6.95” touch screen display looks beautiful on my girlfriend’s dashboard, and the LED backlight automatically shuts off when you turn on your headlights. This head unit supports backup cameras and has a parking line overlay to improve your parallel parking experience. A second RCA input supports a front camera, and there’s a memory slot if you want to record your dashcam’s feed. There’s also an integrated GPS, and it’s a Garmin. This means it comes with all Garmin’s features like traffic alerts and points of interest. This head unit supports backup cameras and has a parking line overlay to improve your parallel parking experience. A second RCA input supports a front camera, and there’s a memory slot if you want to record your dashcam’s feed. There’s also an integrated GPS, and it’s a Garmin. This means it comes with all Garmin’s features like traffic alerts and points of interest. Apple CarPlay is a product that Apple released a few years ago. If the head unit supports Apple CarPlay, you will be able to answer text messages using your voice via Siri directly on the head unit. You will be able to get apps like Spotify, Google Maps and Podcasts from the head unit instead of the phone. CarPlay is syncing with your phone and you will find all your contacts in the head unit and you can simply tell Siri to call one of them. This means that you can keep your hands on the wheel instead of fiddling with your phone, keeping you and others around you safer. Android also has a version of this that you can find down below. The third Pioneer on our list is the AVH-4201NEX. This double din head unit has a gorgeous 7” WVGA touchscreen display and is another premium option. Like the Kenwood, it connects to 2 phones at once, and supports both Apple CarPlay and Android Auto. Not only does this Pioneer support backup cameras, it includes one. The ND-BC8 camera is compatible with most vehicles and includes a parking line overlay for easier parking. 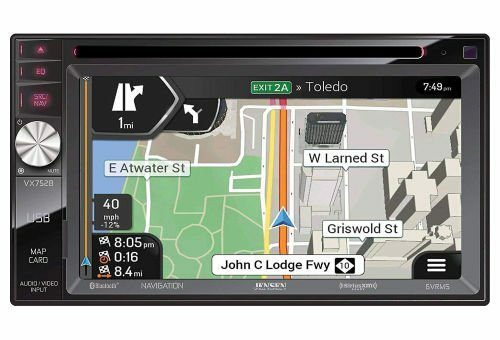 There’s an integrated GPS, or you can use your favorite Apple or Android app via CarPlay or Android Auto. The AVH-4201NEX is compatible with most steering wheel controls, and also allows you to use your smartphone as a controller. I’ve tested Apple and Android phones both over Bluetooth, and both work flawlessly. The AVH-4201NEX powers 4 speakers at 14W RMS each, as well as a subwoofer. This head unit supports Siri voice commands, but not Google Assistant. It has a CD/DVD player, AM/FM tuner, and is compatible with most SiriusXM receivers. You can also plug your flash drive into the USB port and play your favorite MP3, WMA, WAV, AAC, or FLAC files. 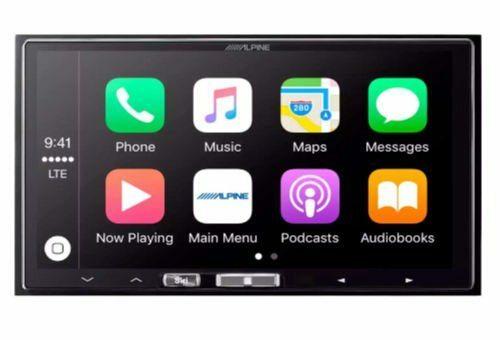 The Alpine ILX-107 is a top-of-the-line double din head unit with a deluxe, 7” touchscreen VGA display. It’s a premium unit and is priced accordingly. It will connect to 2 phones simultaneously over Bluetooth or by USB and supports Apple Carplay. At this time, it doesn’t support Android Auto. This head unit has a single composite camera input which is compatible with most factory cameras. If you’re using an aftermarket camera, you’ll probably need an RCA to composite adapter. The display includes a parking line overlay. There’s no GPS, but if you have an Apple phone, you can use Apple Maps or Google Maps through CarPlay. The ILX-107’s wiring harness will connect with most steering wheel controls out of the box. You can also use your iPhone as a controller via USB or Bluetooth. You can use your Android phone as well, but only if it’s plugged into the USB port. This unit will provide an RMS of 18W to 4 speakers plus a subwoofer. Like the AVH-4201NEX, the ILX-107 supports Siri, but not Google Assistant for voice commands. There’s an integrated CD/DVD player, an AM/FM radio, and it’s also compatible with most SiriusXM receivers. You can also play MP3, WMA, WAV, AAC, or FLAC files from your flash drive or memory card. The Sony XAV-AX100 is the crown jewel in Sony’s lineup of double din head units. It features a 6.4” display that is nice to look at and responsive to use. The RMS of the XAV-AX100 is 17W x 4 which Is around average for head units. 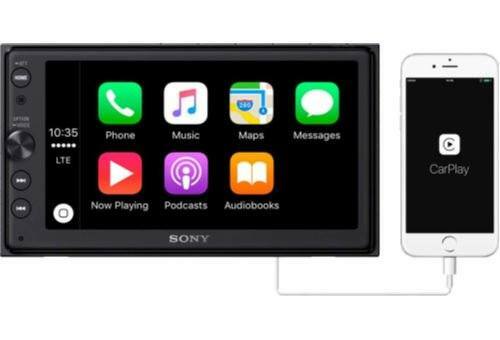 The Sony XAV-AX100 have Apple CarPlay as well as Android Auto, and you can control both using voice commands. With these systems, you will also be able to open navigation apps like Apple Maps or Google Maps. You also have access to many other apps coming with CarPlay and Auto. On the back of the head unit, you can add a rear-view camera (none included) and there is also a USB there. The steering wheel will work for some cars, but an adapter is more common to get it to work. But there is also a dial on the head unit, making it easy to change the volume while still keeping the eyes on the road. I wished that Sony made the screen adjust itself based on the light. As of right now, you will have to change the brightness yourself on the screen, which is not very easy to do while driving… But overall, it’s a good-looking head unit that will make any car come alive in 2019. Android Auto is the equivalent of Apple CarPlay but for Android phones, like Samsung, Sony, OnePlus and many others. 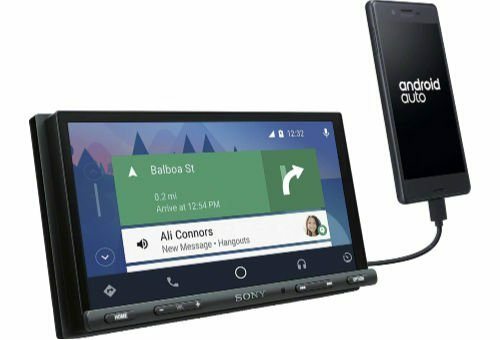 Sharing all your Android features with your car is really easy when you have Android Auto and some head units can even connect to your phone wirelessly. Down below, I’ve listed the top 3 head units that would works out the best for you if you want to get Android Auto. All of them features the full Android Auto experience and you will be able to do everything you have seen in the commercials for the system. This is a mid-priced double din head unit that’s perfect for a person who loves their mobile device and doesn’t need a lot of extra features. 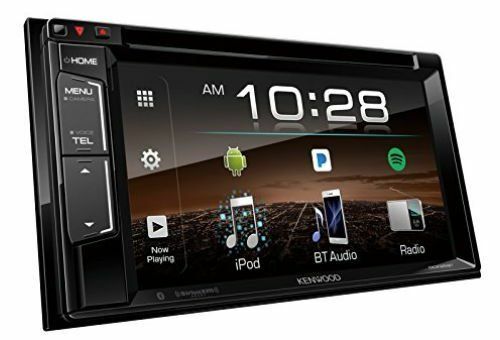 It works with both Apple CarPlay and Android Auto via USB or Bluetooth and has a 6.8” VGA touchscreen display. There’s no backup camera connection and no integrated GPS, but KW-M740BT users don’t need those things. There are apps for that. Seriously. This head unit is for people who love their smartphones. Not only was I able to use Waze on it for navigation, I was able to report police speed traps on my dashboard touchscreen. That’s just cool. This head unit will connect to most steering wheel controls, and powers 4 22W RMS speakers and a subwoofer. You can also use your smartphone as a controller or use Siri or Google Assistant for hands-free control. Not to be outdone in terms of connectivity, this unit also lets you connect two phones at once. The KW-M740BT has an AM/FM receiver, a CD/DVD player, and is compatible with most SiriusXM receivers. There’s no memory slot, and no option for playing media files from a flash drive. Remember, there’s an app for that. The Sony XAV-AX5000 is another great choice for the smartphone-savvy consumer and comes at a lower price than the KW-M750BT. This double din head unit supports both Apple CarPlay and Android Auto over Bluetooth or via USB. It has a 6.95” touchscreen display. There’s no onboard GPS system, but I had no problem using my Android phone and my girlfriend’s iPhone 7 to run GPS apps seamlessly on the XAV-AX5000’s dashboard. This unit is also compatible with RCA backup cameras. If you have a factory camera, you’ll probably need a composite to RCA adapter. The XAV-AX5000 is compatible with most steering wheel controls. It also powers 4 speakers at 17W RMS each and a subwoofer, and has a sweet, 9 band equalizer to get the most out of your sound system. You can use Android or iOS smartphones as controllers, as well as Siri and Google Assistant voice commands. This head unit has a CD/DVD player and an AM/FM tuner, and works with most SiriusXM receivers. It will also play your favorite MP3, WMA, WAV, AAC, or FLAC files from your flash drive. The Pioneer AVIC-8200NEX is a premium head unit and you can feel it. The 7” touchscreen is great. It’s responsive like no other and looks great. The menus are easy to navigate and it’s easy to find the features you are looking for. Speaking of features, the AVIC-8200NEX features both Android Auto and Apple CarPlay, so it doesn’t matter which phone you have. You also have access to a built-in navigation system if you prefer that. You also have HD Radio tuner built-in and option to connect a satellite radio tuner for SiriusXM, for example. As Pioneer is a big brand in the industry, they are making it easier for customers to connect to their cars. You will find that the 8200NEX is compatible with most cars, so that you don’t need an adapter for the wheel controls. It also has things like CD/DVD, USB, AUX and memory cards, giving you several options for listening to your music. 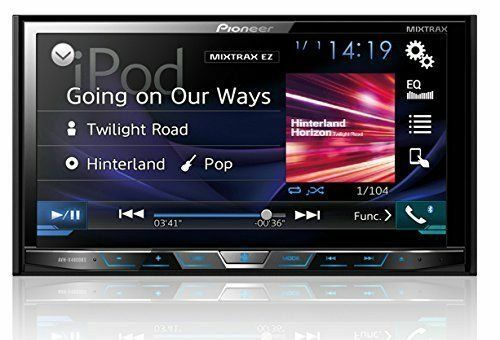 If you want the very latest from Pioneer, they have released a newer model, the Pioneer AVIC-8400NEX but it is on the pricier side so far. The good thing with that is that this model has come down in pricing so this last-gen flagship is now great if you want to get most of the features without paying full price. So, those are the 12 best double DIN head units according to yours truly. You’ll notice a lot of common features among them, so it’s usually the little things that will stand out for you. Now, I want to offer some more general advice. With so many double DIN units out there, you may want to look beyond the 12 I’ve picked out here. 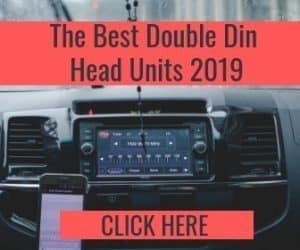 I’m going to round things up with a more general buyer’s guide that will answer some of the burning questions you may have about double DIN head units. It’s all to do with the size. As I mentioned at the top of the article, DIN is a standard measurement for car radios and head units. Most cars have either a single or double DIN slot for the head unit. You can tell the difference when you look at your head unit’s faceplate. Both single and double-DIN units will be about 7 inches long. It’s the height that’s the key difference. Single DIN units are only 2 inches tall, whereas a double DIN unit is 4 inches tall. You tend to see a lot more touchscreens built into double DIN units because of this extra height. Single DIN units are only 2 inches tall, whereas a double DIN unit is 4 inches tall. You tend to see a lot more touchscreens built into double DIN units because of this extra height. You can install a single DIN unit into a double DIN slot. But, you’ll need a special installation kit for the job, which is a hassle that I personally don’t want. So, which is better? Double DIN units have a distinct advantage because of their size. You’ll find they have bigger screens and often have more powerful amps built into them. But, that doesn’t mean that a double DIN head unit is always better than a single DIN unit. A lot depends on the manufacturer. You’ll also find that many single DIN units still suit your needs if you’re looking to connect them to external amps. As a final note, you may also see some 1.5 DIN head units. As the name suggests, these fall between the single and double-DIN units. They’re 3 inches tall, but you won’t see a lot of them around, as most cars use either single or double DIN. You need to take wattage into consideration if you want a head unit with good sound. The higher the wattage, the louder you can play your music. Most double DIN head units fall somewhere in the 50 to 80-watt range. But, the wattage isn’t the only thing you need to keep an eye on. As important is the Root Mean Square (RMS) power rating. This shows you the largest continuous output from an amp or the largest continuous input that a speaker can handle. “How does that matter to me”? I hear you ask. Well, a high-watt amplifier isn’t worth much if it has a low RMS. The amp will struggle at high volumes if its RMS isn’t high enough to sustain the power required. The same goes for your speakers. Aligning low RMS speakers with a high RMS amp will lead to inconsistent sound quality. So, while you should pay attention to watts, you should also look deeper and check the RMS for the amp and speakers in your head unit. You might see some head units that come with a “peak power” rating. This shows the highest power level that the amp or speakers can handle. Do not let this rating fool you. While it will be accurate, it’s also misleading. The peak power is something that your amp or speaker can’t maintain for long periods of time. That’s why it’s often four or five times higher than the RMS. 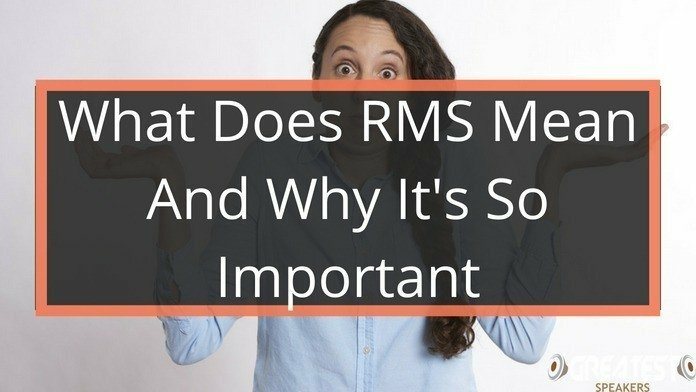 If you want to learn more about max wattage and RMS, you can check out this article that explains it much better. 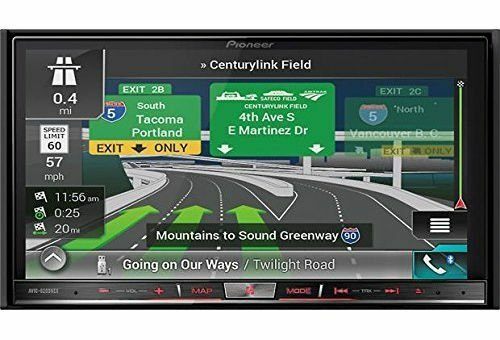 I’ve covered the key features a lot of people look for from their head units, namely device connectivity, touchscreens, and navigation. But, you’ll have noticed that a lot of the units I’ve looked at have plenty of other features as well. In fact, the best double DIN head units tend to come with an array of additional features for you to enjoy. Let’s start with the basics. You’ll find some units have CD and DVD players. You might see these as relics of a bygone age, especially given how easy it is to stream music and movies these days. But, these players offer you another option. For example, your device may run out of charge or you might drive through an area with low signal. This will prevent you from streaming. That’s where a CD/DVD player comes into its own. Most double DIN head units come with Bluetooth, allowing you to sync a device to the unit. How well this works depends on the unit. Check what others have said before you buy a unit, as bad Bluetooth connectivity can prevent you from using your devices as well as you’d like to. A lot of head units come with additional slots for memory cards, auxiliary cables, and USB cables. They aren’t standard features, but you’ll find them useful. USB ports, in particular, will let you charge your device while you’re driving. Look for a unit that has a 1.5A USB port or higher, as these offer faster charging than older ports. You’ll also find differences in touchscreen quality. Some use resistive technology, whereas others use capacitive technology. The latter can sense the electrical signals coming from your body. This means you don’t have to use a lot of pressure to get them working, but they’ll struggle if you’re wearing gloves. Resistive screens do require more pressure, but they work better than capacitive screens if you’ve covered your skin. Only you can decide which works best for you, but I prefer capacitive screens. Still, it’s not a huge issue. Most head units in modern cars have all of the features you’ll find in external units, plus a few more specific to the vehicle. More often than not, you’ll find these head units suit your requirements. You really only need to look for another one if you’re driving an older vehicle or your current head unit is broken. You need to think about what your car can do now and what you might want it to do in the future. This is really important if you’re buying a new head unit so you can enjoy better sound. Even the best units will sound poor if your car’s speakers aren’t up to snuff. You need to think ahead if you’re going to install external components. For example, you should look for a unit that has preamp outputs if you’re planning on hooking an external amp to the unit. The same goes if you want to use better speakers. The less costly head units tend to skip these features, so make sure you know what you’re getting. So, that’s my guide to the 12 best double DIN head units. I hope you’ve been able to find a unit that will suit your needs, no matter what they might be. For my part, I think every unit I’ve looked at here is a good piece of kit that will satisfy most of you. 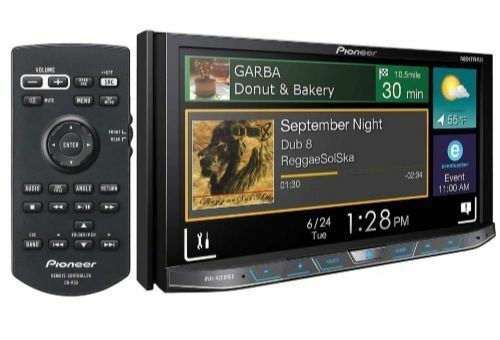 The Pioneer AVH4200NEX has advance specs with reasonable price, I would recommend this one.